Abstract: Chromobacterium violaceum is a gram negative saprophytic bacterium, prevalent in tropical and subtropical climates. Infections caused by C. violaceum are very uncommon, yet it can cause severe systemic infections with higher mortality when entered into the bloodstream through open wound. A case of symptomatic bacteremia in a woman caused by C. violaceum was identified recently at a tertiary care teaching hospital in Nepal. 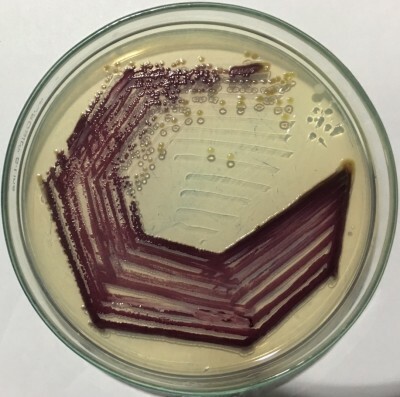 Timely diagnosis by microbiological methods and rapid administration of antimicrobials led to a successful treatment of this life-threatening infection in this case. From this experience, we suggest to include this bacterium in the differential diagnosis of sepsis, especially when abraded skin is exposed to soil or stagnant water in tropical areas. The precise antimicrobial selection and timely administration should be considered when this infection is suspected.